Whether you've been married a few months or decades, couples need regular, quiet moments together to renew their love and commitment to each other and to God. 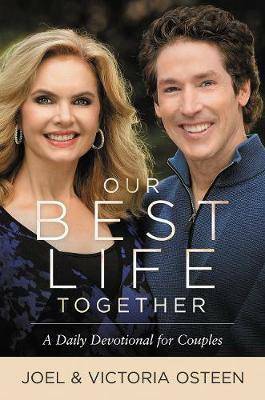 In OUR BEST LIFE TOGETHER, Joel and Victoria Osteen want to encourage you in your marriage and remind you that God brought you together to help each other succeed and to become all He created you to be. There's no better way to experience the fulfilling marriage God intends for you than to set aside a devotional time together each day and set your minds in the right direction for a positive, happy, faith-filled marriage. When you live together in unity, you honor God and open the door for His blessings to flow into every area of your life. If you will do your part, God will do His part, and you can live in love!